When it comes to protecting your loved ones in the worst-case scenario, having a valid will can be extremely important. Obtaining the right advice and guidance to create a legally binding document can offer you and your family peace of mind – and safeguard the future. In recent years, many individuals have been attempting to take matters into their own hands when it comes to creating a will. With DIY kits readily available online, they appear to propose a cheaper, easier alternative – but they can prove to be more trouble than they’re worth. In a range of cases, writing a will isn’t as straight-forward as it may seem; with a range of factors to consider outside of the traditional process of dividing personal equity and belongings between family members. A lawyer or financial advisor will understand the bigger picture in terms of the performance of your will (including business capital, dealing with creditors and setting up testamentary trusts for youngsters where necessary), so you could enjoy a more detailed approach to managing your affairs. With a better will-structure, better protected assets and even the ability to minimise hidden costs (such as taxes), your family is more likely to be in a greater position once you have passed away. For many of us, protecting our little ones is a deciding factor when it comes to drawing up a will. 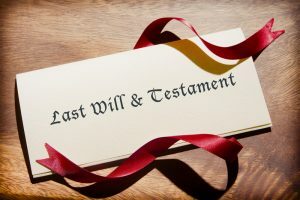 Experienced lawyers usually advise parents to create separate, as opposed to joint, wills (as events where both die at the same time are rarer than the alternative). They are also likely to prompt the appointment of both a guardian to care for the child (or children) in question and a trustee to execute will-arrangements and make financial decisions – and this can be either the same person or two different people, depending on your wishes. In instances where these roles are not pre-arranged, the decision will be made by the necessary authorities. If the matter of guardianship is contested (often by those who were verbally appointed by the deceased), the matter could end up in the Supreme Court. It’s not uncommon for circumstances to change, especially if your will is written years in advance. Updating the document to reflect your current situation as and when it changes (for example if you become a parent, remarry, divorce, or lose a spouse), can ensure that everything is present and correct in the event of your death. Speak to the Financial Planners at Lindale who have vast experience in creating wills. They can ensure you get the right advice!